Groner lived simply: buying clothes from garage sales, walking rather than owning a car, and living in a one-bedroom house in Lake Forest. So when she died at 100 it was shocking to everyone that her $180 in Abbott stock was worth $7 million. She left the entire estate to her alma mater. It’s that investing isn’t about the price of a stock, even though investors are always picking stocks based on price. Investors forget that stocks are about owning part of a business. I mean, that’s what your shares are. And if you buy and hold good businesses, even one good business like Abbott, for long enough periods of time, you can become wealthy. It’s how getting wealthy works. Now, the easiest way to buy and hold businesses is to buy a basket of them, and you can buy a basket of them by investing in an index fund. That’s how I started investing. I bought shares of an S&P 500 index fund, because when you invest in an S&P 500 index fund what you’re investing in are the 500 companies making up that index. Large and medium ones representing all types of American industries: Amazon, Apple, Coca-Cola, Disney, Facebook, Google, Lego, Netflix, Nike, and yes, even Abbott. That’s one way to invest, and another way is with a total market index fund. Some investors prefer the total market over the S&P 500 because it includes large and medium companies plus small ones. More diversification. But if you’re trying to decide between the two don’t sweat it, because if you compare the charts you’ll see little difference. This is a great place to stop. But if you have a high level of interest in investing then you might want to pick individual stocks, because when you pick stocks it’s possible to beat any index fund. And how could you not? When an index is just that: an index of good, mediocre, and poor companies? Most people shouldn’t be picking stocks, because most people won’t pass the very first test: having an interest. And besides having an interest it helps to have an understanding of behavioral economics, decent math skills, and emotional discipline. I’d argue you also need community. A place to get advice and information, and that’s the reason I’m a Motley Fool Stock Advisor subscriber. In 2006, when I picked my first stock, it was Stock Advisor that helped me find the best ones to buy. That’s what they do: co-founders David and Tom Gardner pick two new stocks every month. And after spending a decade building a small stock portfolio I’ve come to believe that picking stocks can be rewarding. These days my portfolio takes care of itself, so I’m not sticking around Stock Advisor for new picks, I’m sticking around for the community. It’s where I met my investing mentors, people like Tom Engle and Saul Rosenthal, who have a long, consistent, track record of beating the S&P 500, and sharing valuable advice. And I consider the Gardner brothers mentors, too. They’ve been picking two new stocks every month since 2002, handily beating the S&P 500 with their picks. Do the math and you’ll learn they’ve picked hundreds of stocks. You might be wondering how you pick from the picks? Well, here’s the thing. Their picks aren’t created equal, meaning some will do much better than others. But as time goes on you’ll figure out what characteristics makes a stock a winner or loser for the simple reason you’ll have winners and losers in your portfolio. Investing is one of those things where you need to pick the losers and make the mistakes in order to learn, to gain experience. I think the people who have a bad time with Stock Advisor expect to beat the S&P 500 by taking lots of saved money and slamming it into a bunch of different stocks all at once. The reality is that the Stock Advisor team finds great businesses to own, and it’s up to you to carefully choose the ones you really want to invest in. And doing this, building a portfolio for a lifetime, should be done slowly over time. Now if you sit there and ask me if I think picking stocks is the only way to go, of course not. It takes commitment to being a lifelong learner, and if you don’t want that commitment it’s okay, just index and be done with it. Because investing might be the best example where people say true things, but the opposite of what they say is also true. To say that another way, there’s no one-size-fits-all for investing. 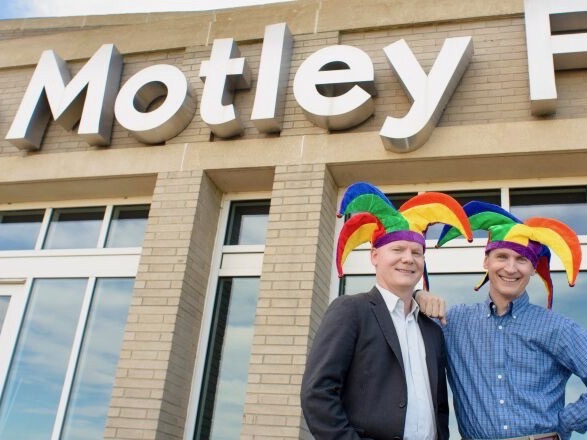 That’s why my best investing advice is listen to everything, which is what the Motley Fool means by “motley”, and what eventually happens is you find yourself investing the way you like best. Want to learn more? Try Stock Advisor free for 30 days and you’ll have full access to David and Tom Gardner’s top stock picks, as well as a community of fellow investors.